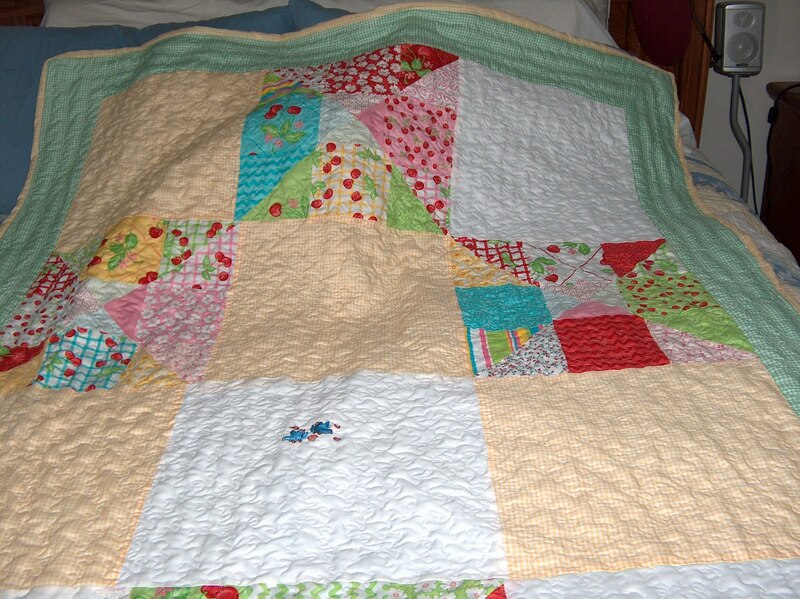 Well, I have been getting into quilting these days and found that I really enjoy the process. 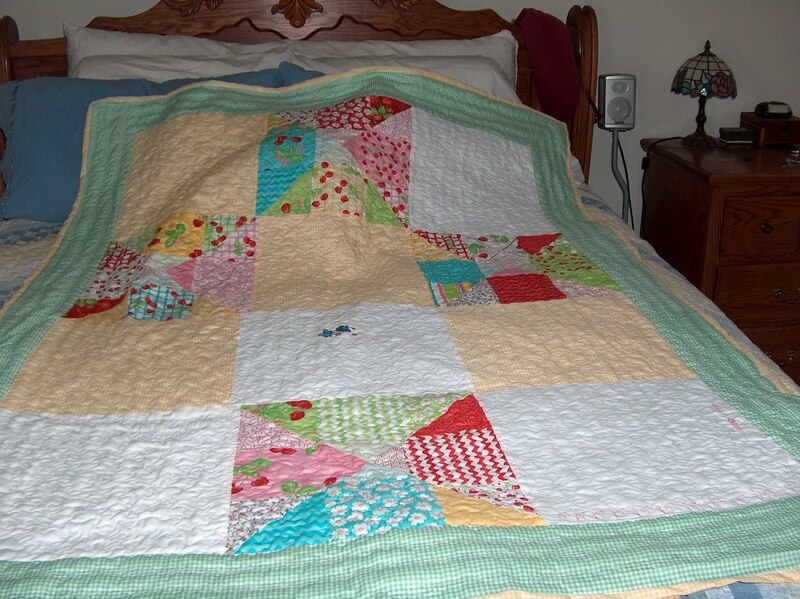 It is cathartic and a wonderful stress reliever–although at times, it can be stress inducing especially when I have to drag out the dreaded seam ripper! 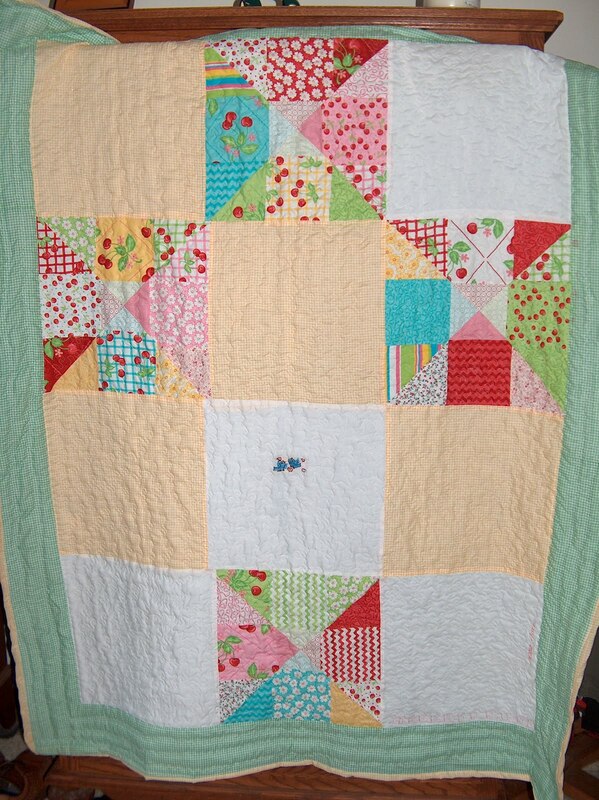 Anyway, this quilt is for Amy for her birthday. I wanted to give her something from my heart and this is exactly what it is–it contains my prayers for her happiness and for God’s blessing upon her life. Every stitch, every block and panel was a prayer for her–and gratitude to God for a friendship that only He could create.